to connect to appropriate resources in the community. The Seniors Information Phone Line will connect you to programs, services and resources in the Edmonton area from one central phone service. 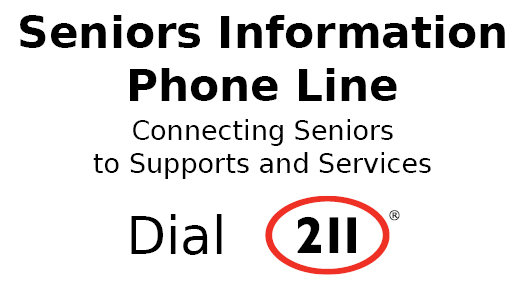 Next time you have a question about supports for seniors, dial 2-1-1 to reach the Seniors Information Phone Line. How does the Seniors Information Phone Line work? When you call 211, the Information and Referral Specialists will answer your questions and provide information on programs, services and resources in the community. If you need more support, your call will be transferred to an outreach worker at one of several senior service agencies in Edmonton which have agreed to perform a more detailed assessment. What is the Seniors Information Phone Line? The Seniors Information Phone Line is a service provided through 211 Alberta - Edmonton and area information telephone line.